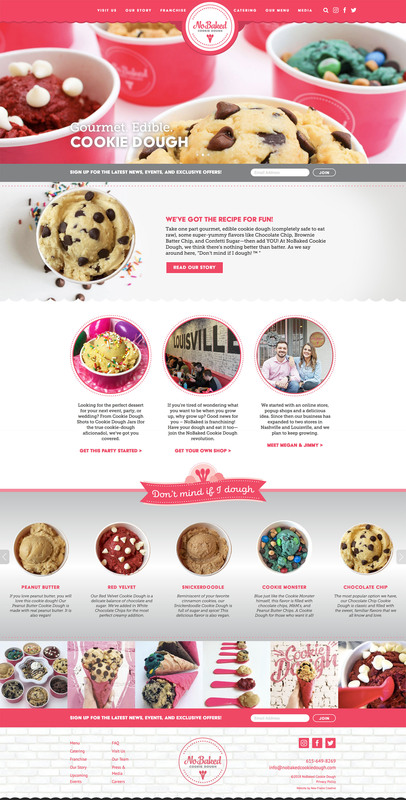 Founded in Nashville and currently expanding into other cities such as Louisville, KY and beyond, NoBaked Cookie Dough is delicious, edible cookie dough. Their brand is fun, and this project was a delight to work on from start to finish! New Frame Creative was approached to upgrade their old website to something vibrant, fun, and exciting, just like their brand. We invite you to visit their website to see our work, and if you find yourself in Nashville or Louisville anytime soon, this is a must visit dessert stop!